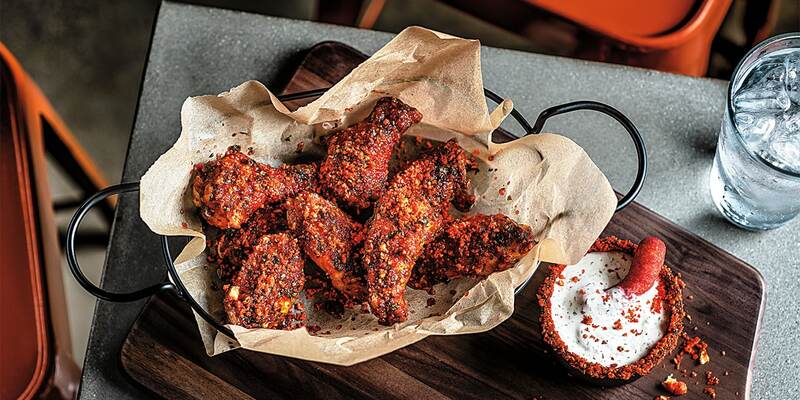 All menu items are inspired by Flamin' Hot Cheetos, like these chipotle ranch chicken wings. If you’re cruising around Hollywood from Sept. 18 to 20 and like having your mouth on fire and your fingers covered in Flamin’ Hot Cheetos dust, you’ll be in the right place. The brand is opening a new pop-up restaurant there for the three days only with a Cheetos-inspired menu, courtesy of chef Roy Choi. 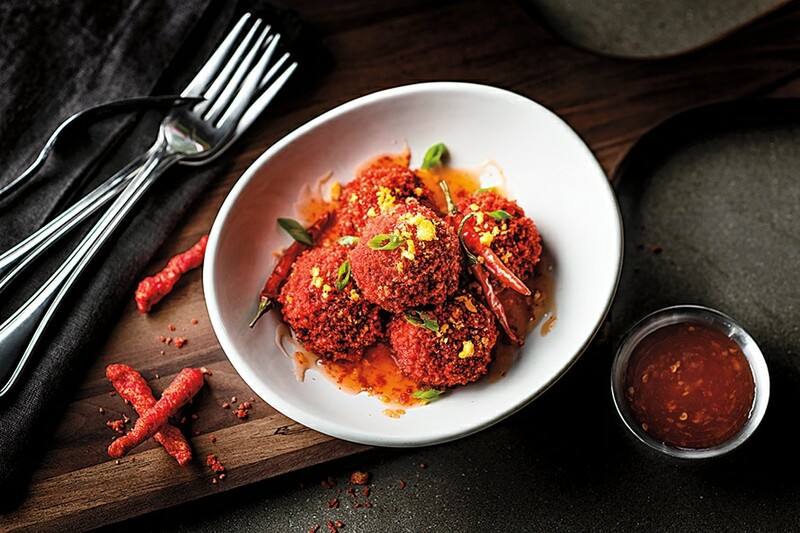 You might recall the Frito-Lay brand’s previous experiment in the restaurant business with The Spotted Cheetah, another Cheetos-inspired restaurant with recipes from chef Anne Burrell, that dropped into NYC for three days in the summer of 2017. While that restaurant had an entire menu inspired by traditional Cheetos, the new location, The Flamin’ Hot Spot, will be inspired by Flamin’ Hot Cheetos. Another reason is that the first one was such a huge success, according to Saenz. Online reservations were fully booked in under two hours. In three nights, The Spotted Cheetah brought in roughly 500 guests. The brand expects just as much excitement around its latest opening and even more guests—the new space is slightly larger than the first one. 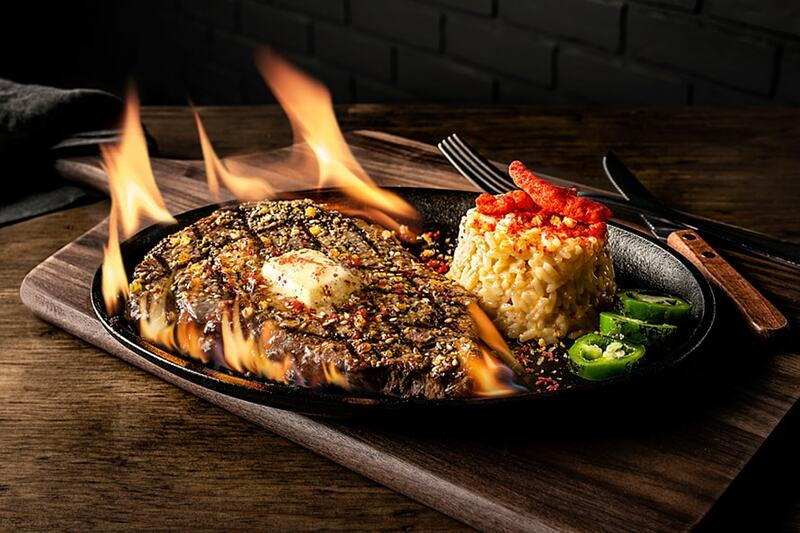 The Flamin’ Hot Spot’s menu will include appetizers, main courses and desserts with a hint of Choi’s creative, Southern California twist on his dishes. 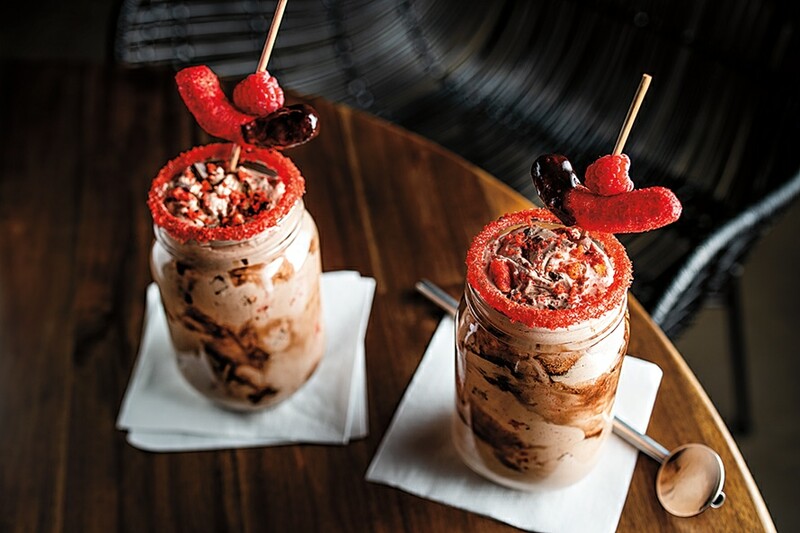 “We are featuring a variety of Flamin’ Hot Cheetos, some of our different flavors, some of our chipotle ranch, so you will get a really wide variety of flavor experiences done in dishes that reflect Roy’s culinary style,” Saenz said. 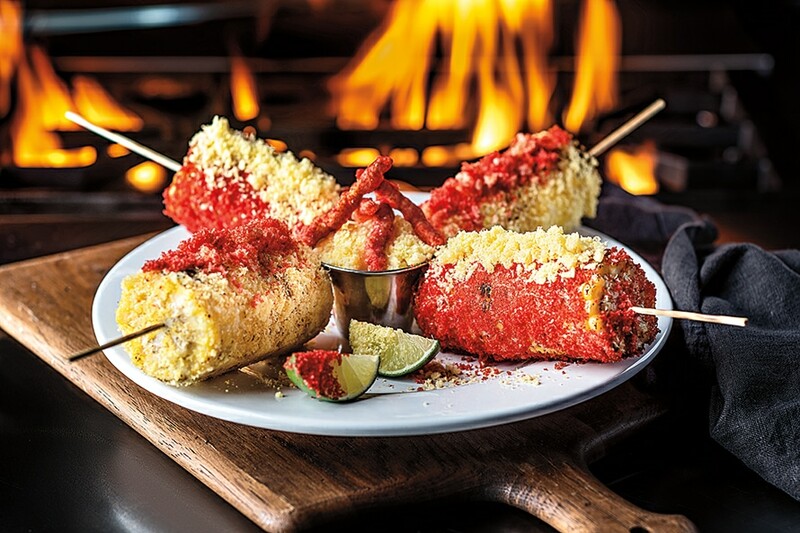 Some of the appetizers, or “Ap-paw-tizers,” include Flamin’ Hot elotes, Flamin’ Hot chipotle ranch wings and Cheetos sweet and spicy meatballs. Main courses will include the hot Cheetos burrito, Flamin’ Hot fries, an XXTRA Flamin’ Hot Rice Bowl and a five-alarm Cheetos steak (which will be served on fire). Order the steak and it will be served to you on fire. Of course, there will also be dessert. Choi crafted Chester’s Cheetos churros, a Cheetos Sweetos hot cake and the “hot” chocolate shake. Choi said in a statement that he has always been a fan of Cheetos, thinking about how to incorporate them into dishes late at night or on road trips. “I know the fans have thought about putting Hot Cheetos in a Kogi burrito—well, so have I, and here it is and more,” he said. You can book a table at the The Flamin’ Hot Spot beginning Sept. 13 at 1 p.m. ET at CheetosFlaminHotSpot.com. For those unable to attend the pop-up, Cheetos is posting all recipes from the menu online. Plus, a handful of Walmart online grocery customers in the L.A. area will have a chance to score a gift box filled with Cheetos products, recipes and some ingredients to cook their own Flamin’ Hot meals.